A "La Jolie Brise": quiet and clear apartment, heated pool. 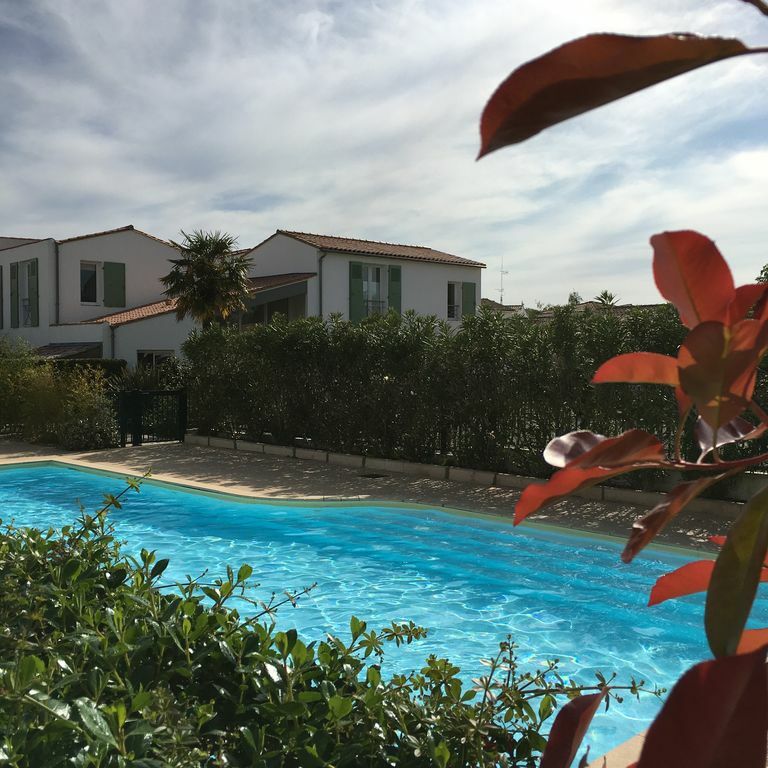 In the heart of the village of La Flotte en Ré (ranked one of the most beautiful village in France), a few minutes from the market, the port and the beach. In small secure residence, with heated pool (April to October) and pool house. Quiet and bright apartment. Fully equipped. Private parking. Storing bicycles. Living room, kitchen area. One bedroom with double bed +1 sofa bed in living room. Bathroom. Wifi .Television. bath, shower, washbasin, inflatable baby bath. Very pleasant property with a lovely pool which the kids enjoyed. Quiet area yet very close to the shops and the picturesque port and beach. La Flotte is a very pretty town, we enjoyed a cycle ride to St Martin de Ré along the coast and also to Bois-Plage where the beach is better than on the North side. Nous vous remercions pour votre sympathique séjour à la »Jolie Brise « . Très bien reçus . apartement agréable et propre on peut aller dans la flotte a pied pour chercher le pain et les croissants c'est parfait! nous sommes venus en hiver c'était sympa. Bémol le sol est froid dans la chambre en hiver! Au printemps ca doit être encore plus sympa ! A refaire ! Encore merci pour votre sympathique séjour.Nous tiendrons de vos remarques et serons heureux de vous accueillir prochainement. Appartement fidèle aux photos. Idéal pour un couple. La résidence est bien située, proche des commerces, du port de la Flotte. La piscine est un plus. You will find on the Ile de Ré many attractions and tourist activities, but also places of calm and rest, walks through the coastal landscapes and the old villages. Many bike paths allow to travel all over the island. Ocean lights vary throughout the day, both on the coast and on the salt marshes. Salt marsh where the ancestral salt harvest is still perpetuated.